Friday, January 2, 2009, 7:00 p.m. Blast Books publisher Laura Lindgren gives an illustrated talk about her twenty-two-year association with the renowned Mütter Museum of The College of Physicians of Philadelphia, joining the art of photography and medical history. Laura Lindgren art directed and produced eight wall calendars featuring contemporary photographs by artists Max Aguilera-Hellweg, Rosamond Purcell, Arne Svenson, William Wegman, Joel-Peter Witkin, and others, of the famed museum’s collections. 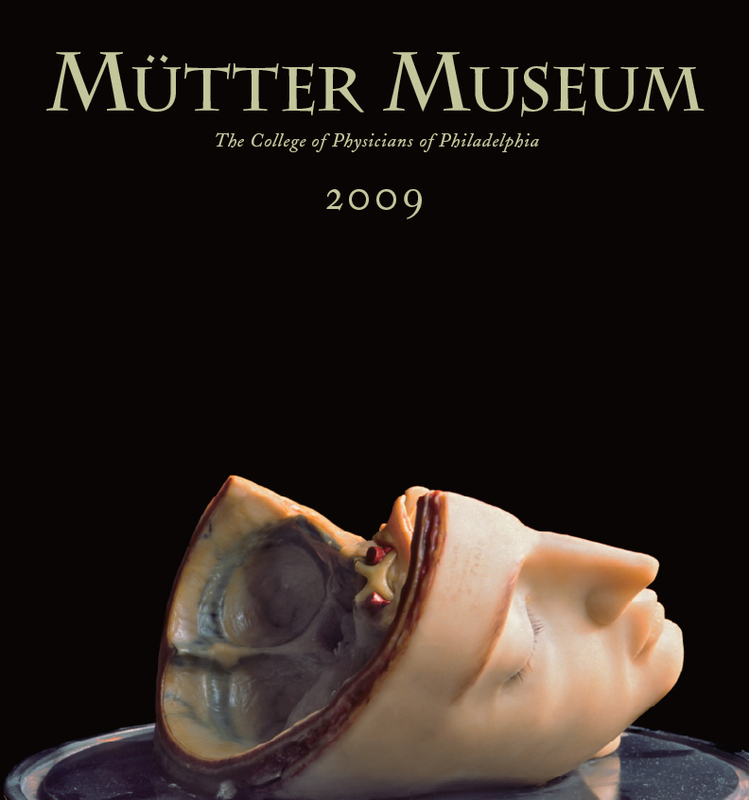 She edited, designed, and published two books, Mütter Museum by Gretchen Worden, in 2002, and Mütter Museum Historic Medical Photographs, in 2007, and has curated numerous exhibitions of Mütter Museum photographs that have traveled nationwide, as well as two Mütter exhibitions with Mütter objects and photographs—one at The Museum of Jurassic Technology in L.A., in 1994, and one at the now-defunct Thread Waxing Space in downtown Manhattan in 1995–1996. The foundation of the Mütter Museum, one of the last nineteenth-century medical museums, dates to 1856, when Dr. Thomas Dent Mütter, a professor of surgery at Jefferson Medical College, wrote to The College of Physicians of Philadelphia that ill health was forcing him to resign his post and that he wished to offer the College guardianship of the anatomic and pathological materials he had collected for his own personal teaching “museum.” The deed of gift was completed a hundred and fifty years ago, January 9, 1859. For more about the calendar, click here. Click here to download PDF invitation. And here is where you can find information that will help you find your way to Proteus Gowanus.